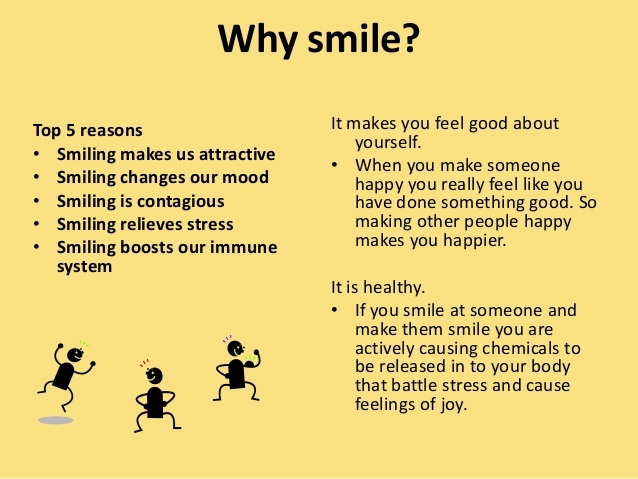 If you smile for 1 minute straight, it is scientifically proven that you will immediately relieve stress. For example: Something is upsetting to you? Go somewhere where nobody can see you, time yourself for 1 minute (must be a minimum of 1 minute) and put on a fake smile. Why? Your brain cannot make the distinction if your smile is real or fake. If you would like to act preventative, simply smile more.